Apollo concessions open 90 minutes before and during the intermission of select evening performances at the Apollo Theater, and offer varied light fare and bar service. Our approach to food is simple, local and delicious. The concessions and drink menu changes seasonally and features specialty snacks, cocktails, local beer, wine and spirits. The Apollo Music Café is a musical performance series paired with bar bites and drinks designed to bring independent, cutting-edge artists to a forward-thinking audience. Featuring diverse performances across myriad genres (R&B, hip hop, soul, jazz, pop, funk, and rock), this monthly series showcases artists drawn from the independent music scene who are destined to impact the way music is heard and experienced. To inquire about hosting an event at Apollo Theater, contact a planner or email celebratefood@greatperformances.com. A living monument to the Harlem Renaissance, the Apollo Main Stage Auditorium boasts a Belle‐Époque crimson décor, spacious public areas, onstage seating for 300 and auditorium seating for 1,500. It offers a one‐of‐a‐kind ambience for special events ranging from fashion shows, product launches, and conferences, to weddings, graduations, and other receptions. 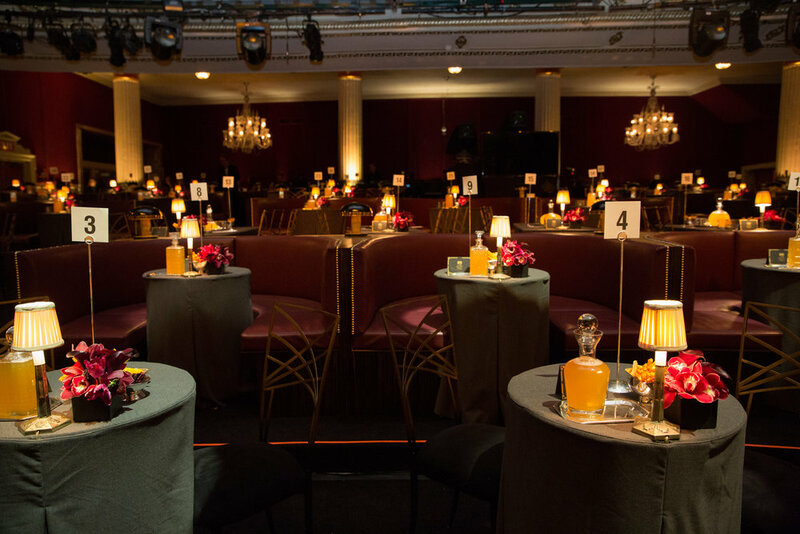 The Apollo’s third-floor Soundstage is a 1,680 square foot, flexible space that features an intimate, lounge‐like performance setting with 200-225 seats and a bar/café. The Soundstage is an ideal venue for music performances, readings, listening parties, commercial shoots, press conferences, executive meetings, intimate receptions and more. For an exclusive pre or post show affair, consider using the lobby atrium to wow your guests. Passed cocktails and hors d’oeuvres are the perfect way to start the show. 90 minutes before and during intermission of select evening performances at the Apollo Theater. See all upcoming events. Open during monthly scheduled showcases.